There’s something wrong with the legislation if it allows a situation such as in the NNSW market, for example, where Bruce Gordon owns WIN and has a 15% stake in Prime and now revealed has 15% of NBN. There’s no controlling influence (as long as there’s a majority shareholder), so I can’t see that being a big issue. Bruce Gordon now directly owns 14.12% of Nine after unwinding more cash settled swaps, and has an economic interest in a further 1.12% by cash settled swaps, equalling a total interest of 15.24% - the same as his last ASX disclosure just over a week ago. 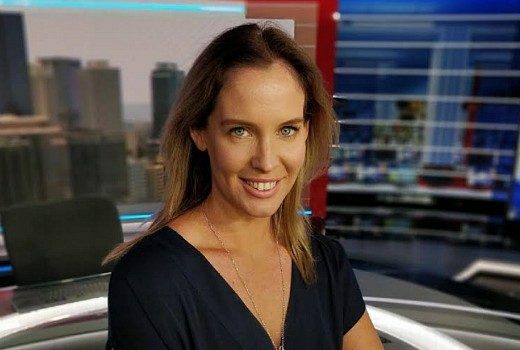 Lisa Thom becomes Program, Marketing and Communications Manager at Nine Perth. 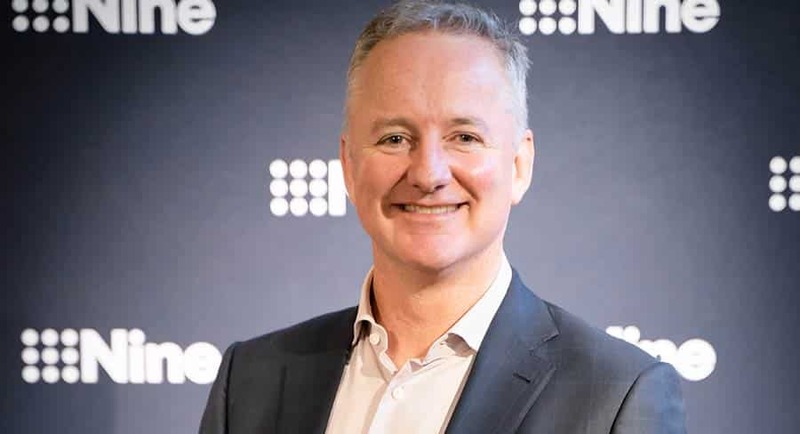 Macquarie Media Limited released their half yearly results on Friday and declared a dividend of $0.03, meaning controlling shareholder Nine Entertainment will collect a nice payment of $2,795,895.36 from Macquarie. This is the main production studio on the ground floor. 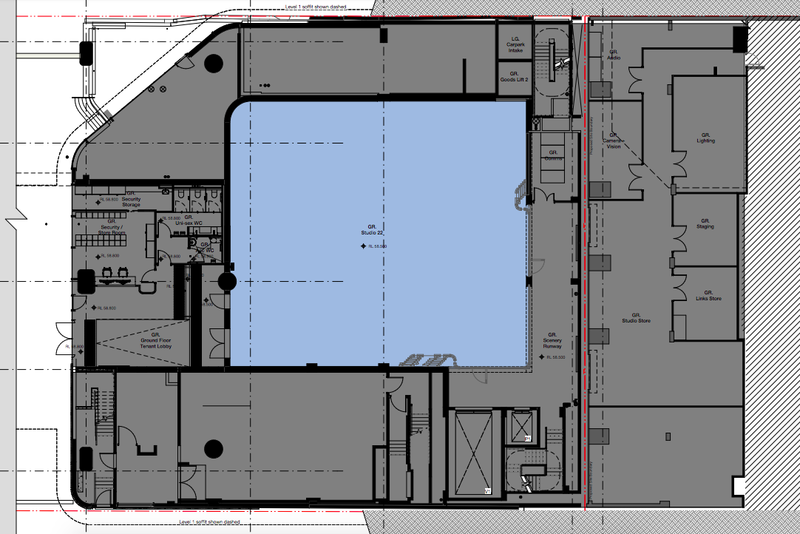 Note no windows so no fishbowl studio, but there is direct access off the street for studio audiences. Today Extra will also use the downstairs studio instead of sharing a news studio again. And this is the newsroom on level 1. Both main studios have big windows but these are shown with curtains (and there won’t be much of a view anyway, just of surrounding buildings). Interesting to note there appears to only be one control room (is that even possible with multiple bulletins going out at 6pm?). Also there is a small “radio studio” and a “multimedia room” which I guess might be used for podcasting or digital content. While I’m sure the new offices will be great there’s not much here that gets me excited. Certainly no newsroom studios or anything special for Today. Feels like a wasted opportunity. Just out of interest, I wonder how old those floorplan pics (which regardless of the age I really appreciate being posted here, of course) are? 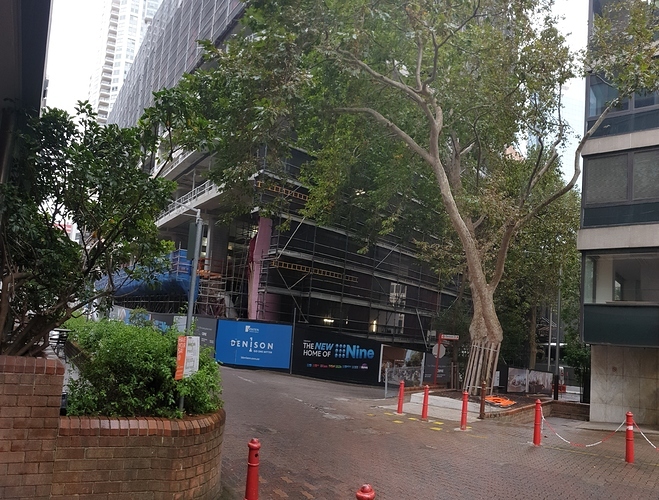 Because if they’re from a while ago, I can see tweaks being made to the original concept for North Sydney due to the Fairfax merger among other things. As far as the studios are concerned, it seems kind of a waste of time/money to bother with a studio audience section when as far as I’m aware, it’d likely only get use once a year. If Nine is still doing the Gold Telethon after the move to North Sydney (and I really hope they do BTW), surely they would host it at an outside studio? I can also hear the screams of horror from many of Media Spy’s Southern NSW/ACT viewers about the prospect of their bulletins (presuming that Studios 21, 22, 23 & 24 at North Sydney will most likely be used in much the same way as their counterparts at Willoughby) still being presented from a shoebox studio! They were submitted to the North Sydney council this week. 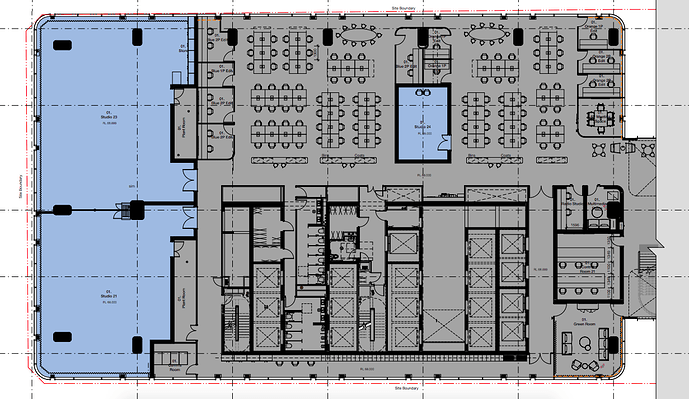 The plans show a cafe area and terrace above the production studio. While using that area for television is not mentioned on the plans, I wonder if Nine may think of using it down the track for Today? 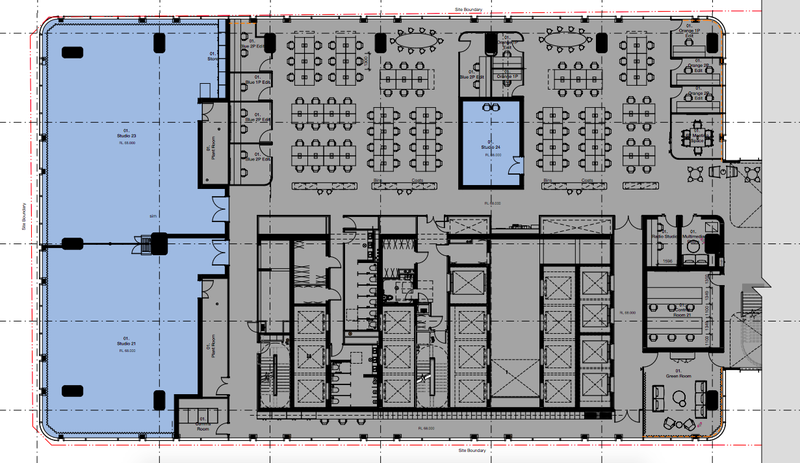 The plans @eddel posted only covers the fitout of the news room and studios, not the plans for Nine’s corporate office space which would be on other levels. As far as the studios are concerned, it seems kind of a waste of time/money to bother with a studio audience section when as far as I’m aware, it’d likely only get use once a year. Good to have the option though, they could bring back The Footy Show or use it for panel shows or whatever. I’d also love to see Today Extra evolve into something with a studio audience but that’s probably unlikely. Yes, sorry. Should have mentioned (was caught up in looking through the application). Didn’t mean to seem so mysterious! Might Nine be looking at refitting the news set so that it can be multipurpose for News, Today and Today Extra? Go the same route as Ten? Or at the very least have Today Extra use the main Today set? I can also hear the screams of horror from many of Media Spy’s Southern NSW/ACT viewers about the prospect of their bulletins […] still being presented from a shoebox studio! 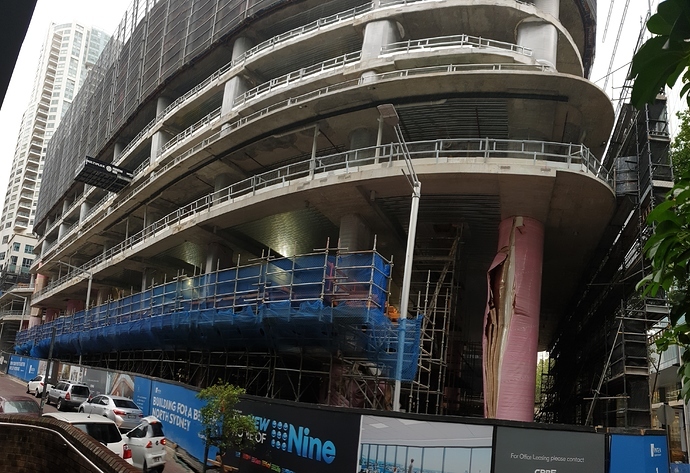 Just throwing it out there, but would Nine have considered the possibility of moving SNSW news production to the new NBN studios in Newcastle and centralise all regional NSW bulletins in one location? I’d probably say the opposite and have all regional bulletins in NSW done from Sydney is what NEC would do if they’re looking at ways to cut costs. I’d love NEC to prove me wrong and keep NBN News produced in Newcastle, but I don’t trust them. I’d love them to do what you’ve suggested. But I can’t see that happening. The regional news bulletins (with the exception of NBN) would surely be of a low priority to NEC anyway. Yep, unfortunately that’s what I’d eventually expect to see happen to NBN News. The dual presenter format on weeknights and weekend news (including Jane ) will probably disappear from our screens. The callsign might have a chance of being retained due to the metro/regional overlap on the Gold/Central Coasts, but only play a very small role in the news brand overall compared to Nine’s. Now don’t get me wrong, I personally think Nine News’ Southern NSW/ACT regional bulletins would greatly benefit from being produced in Newcastle. At least the SNSW/ACT bulletins would be more likely to be presented from a regional NSW perspective, rather than a Sydney perspective (often with Sydney-centric content completely irrelevant to SNSW/ACT) as the case seems to be right now. But with Nine having already “streamlined” Darwin’s news into the Regional QLD operations, I suspect it’s probably only a matter of time before the Northern NSW & Southern NSW/ACT bulletins are streamlined into one operation presented out of Sydney with only reporters/camera crew and other essential staff based in each local region. Could also imagine some of the local windows being axed or merged so the Sydney-based regional team aren’t doing ten different regional bulletins! NBN have for many a year aired Channel Nine reports of things that have occurred in their own backyard. It’s not new. I remember seeing a report 10+ years ago with Peter Harvey on location in Newcastle outside Newcastle Court House (or somewhere like that) on NBN News. As I was walking back to North Sydney station from a conference, I walked past Nine’s new factory of crap…I mean, HQ, at 1 Denison. Not the best of photos, and yes, it was raining.